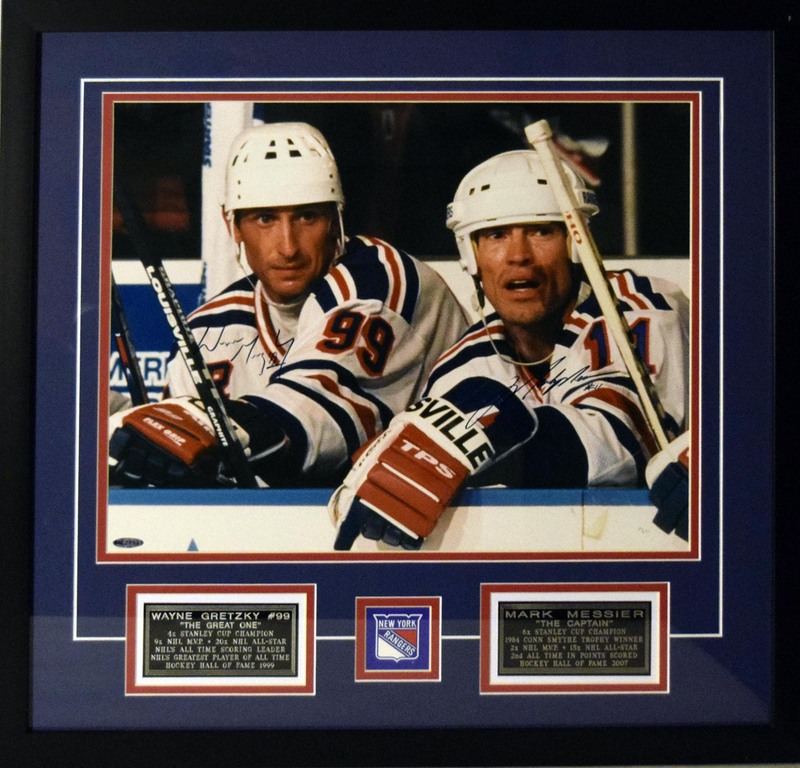 Fine 20x16 color UDA image of Gretzky and Messier as Rangers teammates, this looks great. Signed by both in blue sharpie ink on their images, this has the UDA hologram at the lower left corner but no paperwork. Smartly matted and framed, total size 26 1/2 x 25 1/2.